The Minister said one of the major themes that were covered in the government’s nine point plan in addressing the economy was the higher impact IPAP. There were a number of constraints in terms of manufacturing which were in some cases global challenges such as the steel glut experienced worldwide. There were real indications that dumping was taking place and the Department was in discussions with steelmakers and submissions had been made. The driving forces for higher impact IPAP were infrastructure-driven industrialisation, resource-based industrialisation and advanced manufacturing-driven industrialisation. A summary of the selected implementation highlights showed that all major producers of light motor vehicles such as Mercedes Benz, BMW, Volkswagen, Toyota, General Motors, and Ford were producing in South Africa. The auto sector had invested over R25.7 billion over the last 5 years and it showed that 30 000 jobs had been created in the assembly section, 70 000 in component manufacturing and 200 000 jobs had been created in retail and after-sales service. Between 2000 and 2010, the clothing sector lost 45 000 jobs. Imports (in real terms) grew fourfold from just R2.9 billion in 2000 to over R11 billion by 2010. In order to stabilise the sector, the Clothing and Textile Competitiveness Programme (CTCP) was introduced in 2010. The manufacturing value-addition increase attributable to the CTCP between the base of 2009 and 2014 was R3.9 billion, exceeding the disbursements by 50% or R1.3 billion with 68 000 jobs having been retained in the sector and 6 900 new jobs created. General Electric announced a R700 million commitment designed to support innovation, enterprise- and skills development in South Africa. R500 million would be invested in the creation of a customer innovation centre and R200 million in a supplier-development vehicle to provide technical, funding and business support to SMMEs. Access to industrial finance at competitive rates was a critical determinant of industrial investment and growth. Between January 2013 and December 2014, South Africa attracted approximately R57.9 billion from 153 companies. These investments created 19 706 jobs. For the 2014/15 financial year, 236 enterprises were approved for funding under MCEP with a total grant value of R1.1 billion, leveraged private sector investment of R3.7 billion in support of 28 093 jobs. The National empowerment fund (NEF) approved 549 transactions worth more than R5.4 billion for black empowered businesses across the country, supporting over 47 000 jobs. Between April 2014 and December 2014, the Industrial Development Corporation (IDC) approved projects to the value of R7.7 billion with 6 899 jobs created and 4 668 jobs saved. There was a need for attaching stronger conditionality's (competitiveness raising; B-BBEE, supplier development and localisation, etc.) in existing incentive programmes. The Black Industrialists Programme needed to be rolled out and new sector-specific incentive schemes needed to be developed. In terms of regional integration, the Minister said Africa was the major market South Africa had for value added products and the rest of the Continent also wanted to move up on the value chain. As other countries industrialised and their economies progressed, there should be more demand. The challenge was that there would be finished products that other countries had started manufacturing for themselves and South Africa should be repositioned in the African regional value chain. Further Economic Support Package funds needed to be allocated to unlock private sector investment and catalyse industrialisation. Members wanted to know what emphasis was being placed on the transformation of the economy at the same time by changing the ownership relationships in the economy. The Committee asked for the Minister’s input on range of challenges such as the plans on the country’s broadband strategy, initiatives in addressing the energy challenges, the labour concerns and the possibility of South Africa entering the aircraft component manufacturing market. The Committee further wanted clarification on the rollout of the Black Industrialist Programme, the R700 million investment by General Electric and whether the Department had any plans in place on issues such as biofuels . Mr G Hill-Lewis (DA) questioned how the mining and metals industry could afford to offer discounted prices to local manufacturers if the industry was “very close to being on its knees” and when 15 000 workers across the gold sector were being laid off. He agreed that as the economy grew, the economy and its ownership patterns should also be diversified, but it should be ensured that it did not become an exercise of goal displacement. He expressed his shock that newspapers reported that the Minister said the reauthorisation of the African Growth and Opportunity Act (AGOA) passed Congress on 25 June 2015 and President Obama signed the AGOA Extension and Enhancement Act (AEEA) of 2015 into law on 29 June 2015. On July 21st, the United States Trade Representative (USTR) published notice in the Federal Register announcing an out-of-cycle review for South Africa to determine its eligibility. A public hearing was scheduled in Washington DC for 7 August 2015 where the South African government would make written and oral statements. The South African government would argue that AGOA has helped to transform the trade relationship between South Africa and the United States from one based mainly on exports of commodities to that based on more value-added trade in manufactured products. It was mutually-beneficial for both South Africa and the USA as showed by the growing intra-industry trade in the automotive sector. South Africa was the only significant exporter of value added manufactured products under AGOA to the USA and AGOA has supported the creation of regional value chains. The removal of South Africa would further reduce the benefits of AGOA to the Sub-Saharan Africa (SSA) region. South Africa disagreed with the view that it was a more developed country and should possibly be removed from AGOA. The reality was that South Africa was currently facing the triple challenges of poverty, unemployment and inequality. AGOA has helped in the critical area of job creation and AGOA preferences in the citrus industry provided thousands of rural jobs to mostly women workers, thus alleviating poverty of rural households. In the auto sector AGOA created high value, high skill jobs that helped to stabilise South Africa’s nascent democracy. Intense discussions on some trade concerns (poultry) resulted in a significant breakthrough at the Paris Meeting held on the 4th and 5th of June 2015. Agreement was reached on a quota of 65 000 tons per annum and this quota only remained in place for as long as South Africa was part of AGOA. The Sanitary and Phytosanitary Measures (SPS) issues were complex, but significant progress had been made. There had been outbreaks of Avian Flu in 20 US states, but no outbreaks had been reported in the past six weeks. If there were no further outbreaks in the next six weeks, the USA could declare itself free of Avian Flu. Cabinet has approved the lifting of a ban on boned beef from several countries, including the United States. South Africa was a relatively open economy with the average tariff at 8.3% in 2014 and 56% of tariffs at zero. The US Government and interested US parties could participate fully in the ongoing policy debates in South Africa through the transparent public consultation processes provided for in South Africa’s institutional and legislative mechanisms. South Africa met all the eligibility criteria to remain a beneficiary of AGOA for the next 10 years. There was national consensus on this matter and South Africa had a bipartisan approach to attaining its position in this important trade regime and would be going into the review on Friday with a confident message. The Committee confirmed that Parliament supported South Africa’s continued participation in the AGOA, because it was in the country’s national interest. Some Committee Members raised the reports in the media that South Africa was employing delay tactics in the implementation of the agreed upon poultry quota and that additional factor, such as policy uncertainty regarding international investment and the new Black Economic Empowerment (BEE) Codes also hindered the process in finalising the Agreement. Members also wanted know why more jobs were being created in the USA than in South Africa and if there was any way to get more value out of AGOA. The Minister, in response to Mr Hill-Lewis’ request for an update on the Private Security Industry Regulation Amendment Bill, said the Department was in consultation with the Department of Police and could at this point not give further details on the matter. It was the call of the Minister of Police to comment on the Bill. Mr Hill-Lewis did not accept that explanation and said the Bill had been ‘languishing’ with the President for 18 months and the responses given by the Minister would not be acceptable in Washington. The Chairperson welcomed the Minister of Trade and Industry, Dr Rob Davies and the Department of Trade and Industry (DTI) to the meeting and the agenda for the meeting was adopted. Apart from issues such as exports, Mr G Hill-Lewis (DA) had mentioned that there were certain matters around steel had come up. This had been a huge concern three or four years ago and the Committee had a colloquium on it at the time and had reached a position. There was a need for in depth engagement with relevant stakeholders around October 2015 depending on the Minister’s availability. The Minister said one of the major themes that were covered in the government’s nine point plan in addressing the economy was the higher impact IPAP. There were a number of constraints in terms of manufacturing which were in some cases global challenges such as the steel glut experienced worldwide. There were real indications that dumping was taking place and the Department was in discussions with steelmakers and submissions had been made. All major producers of light motor vehicles such as Mercedes Benz, BMW, Volkswagen, Toyota, General Motors, and Ford were producing in South Africa. The auto sector had invested over R25.7 billion over the last 5 years with Mercedes Benz (R2.4 billion), General Motors (R1 billion), Ford (3.6 billion) and Metair Group (R400 million). BMW South Africa has just produced its 1 millionth vehicle at its Rosslyn plant and South African auto exports exceeded a record R100 billion for the first time in 2014. BMW’s Rosslyn plant received the JD Power Platinum Plant Quality Award for producing models with the fewest defects or malfunctions across the globe. The Hisense factory in Atlantis that was started with DTI incentive programmes, first started by employing 500 people and had subsequently employed a further 300 people. It was the second most effective plant outside of China with the foremost effective plant based in the USA. The Automotive Investment Scheme (AIS) package has been extended to people-carriers/mini-buses, trucks and buses. Bus bodies have been designated for public procurement and this was important if taken into account that all the busses purchased for the 2010 FIFA World Cup had been imported. Within a year of its launch, the support package has directly led to new investments from companies like Iveco (Italy), Tata (India), BAW (China), Toyota (Japan), FAW (China), and Hyundai (South Korea). Hyundai has begun assembling medium-duty trucks at its plant in Benoni. The R110 million investment would create 40 new jobs. Iveco has started production of buses for Putco with an investment of R800 million and was expected to create about 1 000 jobs. It showed that 30 000 jobs had been created in the assembly section, 70 000 in component manufacturing and 200 000 jobs had been created in retail and after-sales service. NAACAM projected that investments in 2015 would exceed 2014’s R6.9 billion record and projected a new record of R7.49 billion in 2015. Government support had taken the industry from production of 356 800 units in 2000 to over 566 000 units in 2014. Government support had also grown auto exports from just 11 000 units in 1995 to over 270 000 units in 2014. Unlike South Africa, Australia rapidly liberalised its auto import tariffs and phased out its support programme. Mitsubishi, Ford and General Motors have since closed their Australian plants and Australia’s last remaining auto producer (Toyota) would close by 2017. The cost to its economy has led to the Australian government setting up a Commission of Inquiry. Australia’s experience was instructive – it was easy to consider South Africa’s support for the auto sector in the abstract, but in reality withdrawal of government support would lead to the direct loss of 100 000 jobs in assembly and components manufacturing. Given that vehicles per capita in South Africa and Africa remained extremely low, this would be a major economic opportunity foregone. The target was to continue to incentivise the private sector to grow production to 1 million units per annum by 2020; increase exports and progressively raise local content levels and job creation. Between 2000 and 2010, the clothing sector lost 45 000 jobs. Imports (in real terms) grew fourfold from just R2.9 billion in 2000 to over R11 billion by 2010. The sector was in crisis and the economy faced the real prospect of the sector losing its critical mass of technical, design and logistical capacity. In order to stabilise the sector, the Clothing and Textile Competitiveness Programme (CTCP) was introduced in 2010. As at 31 March 2015, a total of R3.7 billion in support to the private sector had been approved since its inception in 2010. The manufacturing value-addition increase attributable to the CTCP between the base of 2009 and 2014 was R3.9 billion, exceeding the disbursements by 50% or R1.3 billion with 68 000 jobs having been retained in the sector and 6 900 new jobs created. These interventions were leading to the revival of footwear firms which had closed under the pressure of imports. These sectors were vital components of modern economies with practically every other economic sector dependent on it for the ‘tools’ to operate. Put simply, this sector produced the machines which other sectors used to produce their goods and services. 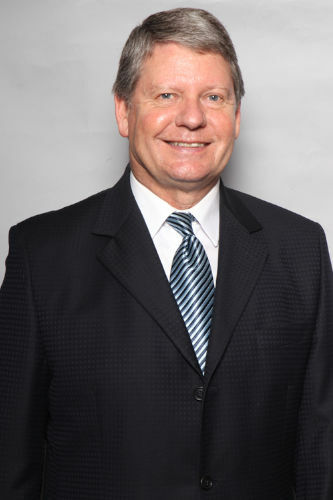 The designation of valves has led to foreign investment by Denmark AVK which has acquired South Africa’s Premier Valves Group (PVG) for R100 million. Denmark AVK would fund the introduction of a new international standard for local production capability at the facility, in support of the DTI’s designation policy. PVG itself was committing to investing R5 million in support of valve designation, having already invested more than R6 million in associated equipment over the last three years. General Electric announced a R700 million commitment designed to support innovation, enterprise- and skills development in South Africa. R500-million would be invested in the creation of a customer innovation centre and R200 million in a supplier-development vehicle to provide technical, funding and business support to SMMEs. In view of the severe distress that some parts of the sector were in, R300 million had been earmarked from the DTI’s Medium Term Expenditure Framework (MTEF) allocation but further funds would be required from the Economic Competitiveness Support Fund package. In addition, further designations would be used to support the manufacturing sector and ‘leverage in’ private sector investment to supply the infrastructure build programme. Since 2009, the DTI had supported agro-processing industries to the value of R1.2 billion through various schemes such as the Manufacturing Competitiveness Enhancement Programme (MCEP) and the Enterprise Investment programme (EIP). Coega Development Corporation and the DTI have partnered to create an R86 million agro-processing facility within the IDZ. One of the challenges identified by the Department of Agriculture, Forestry and Fisheries (DAFF) and the Department of Rural Development and Land Reform (DRDLR) was the difficulty in drawing in smallholder farmers into the procurement processes of the large agro-processors. In order to unlock the synergies between the IPAP and the Agricultural Policy Action Plan (APAP), the Department would develop an Agro-processing and Smallholder Agriculture Linkage support programme – aligned to the Agri-Park initiative. Seed funding has already been secured within the DTI to kick-start the programme. Access to industrial finance at competitive rates was a critical determinant of industrial investment and growth. Between January 2013 and December 2014, South Africa attracted approximately R57.9 billion from 153 companies. These investments created 19 706 jobs. For the 2014/15 financial year, 236 enterprises were approved for funding under MCEP with a total grant value of R1.1 billion, leveraged private sector investment of R3.7 billion in support of 28 093 jobs. The National empowerment fund (NEF) approved 549 transactions worth more than R5.4 billion for black empowered businesses across the country, supporting over 47 000 jobs. Between April 2014 and December 2014, the Industrial Development Corporation (IDC) approved projects to the value of R7.7 billion with 6 899 jobs created and 4 668 jobs saved. There was a need for attaching stronger conditionality's (competitiveness raising; B-BBEE, supplier development and localisation, etc.) in existing incentive programmes. The Black Industrialists Programme needed to be rolled out and new sector-specific incentive schemes needed to be developed. In total 16 products or sectors have now been ‘designated’ for localisation in government procurement. Given the R3.6 trillion infrastructure build programme, a failure to localise would lead to substantial import leakages with significant negative impact for the balance of trade and industrialisation efforts. The Minister gave an overview of the IPAP Transversal Focus areas for 2015. He said work had been done on the compulsory standards for paraffin stoves. The majority of fires in informal settlements were caused by paraffin stoves. In addition to the impact on communities, government was picking up the effects through emergency programmes that needed to be implemented. The compulsory specifications on paraffin stoves required that if the stove fell over, there should be a mechanism that cuts off the flame and the paraffin should not spill. The difference in price between a compliant and non-compliant stove was R30 (R120 vs. R90). The Department handed out compliant paraffin stoves to people who gave the Department a non-compliant stove. There was an illegal factory in Gauteng that assembled components to make non-compliant paraffin stoves. The Department was working on not only confiscating these stoves, but also to prosecute those responsible for assembling the stoves. The Department aimed to have a closer relationship with the Department of Science and Technology, because of science-based industrialisation. In terms of regional integration, the Minister said Africa was the major market South Africa had for value added products and the rest of the Continent also wanted to move up on the value chain. As other countries industrialised and their economies progressed, there should be more demand. The challenge was that there would be finished products that other countries had started manufacturing for themselves and South Africa should be repositioned in the African regional value chain. The Minister said a bottle-neck busting and solutions-based approach to key challenges such as the electricity supply, port tariffs, rail and ports inefficiencies and administrative challenges was required. Further Economic Support Package funds needed to be allocated to unlock private sector investment and catalyse industrialisation. IPAP 2015 was the sixth iteration of the Industrial Policy Action Plan. IPAP was a very important tool for management, planning and oversight. It was critical that compliance across and between government departments, spheres of government and state owned entities (SOE’s) was secured in a national industrial effort. The Chairperson said she was not aware, until she met with the National Regulator for Compulsory Standards (NRCS) that South Africa manufactured safe paraffin stoves in Bloemfontein. She mentioned that about 80 shacks, that formed part of her constituency, burned down and safe paraffin stoves had been sourced. Mr A Williams (ANC) welcomed the report and said it looked good considering the country’s economic challenges. While the DTI was building manufacturing capacity, there was an opportunity to look at the transformation of the economy at the same time by changing the ownership relationships. He asked if IPAP was implemented at 100%, what percentage of the economy would be owned and controlled by white businesses. He wanted to know what emphasis was being placed on transformation, because although the Minister mentioned the Black Industrialist Programme, more emphasis should be placed on the transformation of the economy otherwise the situation where white people owned and controlled the economy while black people worked in it would remain the same. Mr G Hill-Lewis (DA) said the Minister referred to securing adequate pricing for minerals in the beneficiation process. Any observer of the South African mining and metals industry at the moment would be able to see that the industry was “very close to being on its knees” and how was it possible to expect them, on top of their current woes, to provide discounted prices to local manufacturers when 15 000 workers across the gold sector were being laid off and possible more in steel as well. In terms of the clothing and textile designation, he said he supported the designation, but it should be made as easy as possible for people to comply. There had been some reports from companies who have applied to the DTI for permission to import for e.g. polyester and either never got response from the DTI and on top of that they were required to approach their suppliers to determine the cost prices for local content. No supplier was ever going to disclose their cost price and the Department should look at the requirements of applicants. In terms of the driving forces, he said one of the biggest advantages South Africa had was its geographical location in one of the world’s fastest growing markets. It should be a driving force in South African industrialisation. There was a hope that in the next 10 to 15 years, as the middleclass in African countries expanded exponentially, South Africa would become the lead supplier of white goods to the Continent. The 12I Tax incentive programmes had significant successes, but it would come to an end in 2017 and the extension to 2017 was academic because the amount of money committed was near to maximum budget allocated to the programme and he asked for an update on the Department’s discussions with National Treasury in securing additional budget to extend the programme. He agreed that as the economy grew, the economy and its ownership patterns should also be diversified, but it should be ensured that it did not become an exercise of goal displacement. The goal was to grow the economy, to improve competitiveness and to make South African an economic power house. Simply transferring ownership from an existing shrinking company as a way of breathing new life into operations or to win government support, was really an exercise in goal displacement. No new industrialists would be created and although black industrialists might have been created, they were simply replacing an ever shrinking pool of existing industrialists. The Minister replied that mineral commodity exports went down in price, because China was demanding less. China was on what could be termed “the new normal” where they were moving up the value chain and increased their domestic consumption. Although a slight upturn was expected, it would not be up to the level of the mineral commodity super cycle of 2012. South Africa needed to expand the uses of its resources by beneficiating it. The country should become more than just exporters of platinum and actually start using platinum to create catalytic converters or fuel cell manufacturers. There needed to be a pricing regime that enabled the transformation of resources within the South African economy. Action would be taken to address the steel issue and if action was taken to support local production against the influx, it would create a price disadvantage for the dumped steel in the country. DTI was working on protecting as much of the steel sector’s productive capacity as possible. There was an ongoing debate that in terms of clothing and textiles where the Department had been requested to allow for rebates on fabrics. The aim was to ensure that the existing manufacturers would not be disadvantaged. In terms of the driving forces, the African Continent was critical and South Africa was one of the leaders on driving regional integration and broadening integration across the regional communities. It would create a sizable basis to support diversification and transformation of economies to allow for greater levers of interregional trade. South Africa should position itself in the value chains of the Continent to support industrialisation. The Department was in discussions with Treasury on the 12I incentives the incentive programmes of the Department were achieving the desired results. The aim of the Department was, even if people were part of a share deal, they needed to become part of the management of the company. The country needed an industrialised economy and some of that was happening through foreign investors recognising the advantages of the African market, the regional integration programmes and seeing South Africa as having an important place in the global market. There was an assumption that global value chains would somehow allow for automatic movement into a good position, but it depended largely on the programmes. Work with foreign multinationals and existing business was needed and many more of the majority of the South African needed to be brought into the manufacturing space to successfully industrialise the economy. Mr Garth Strachan, Deputy Director-General: Industrial Development Policy, DTI, said the Department was not aware of a single instance where a clothing manufacturer had applied to import textiles not available in South Africa that had not been granted a rebate to do that. If there were companies that claimed such, Mr Hill-Lewis should refer those companies to the Department. Mr N Koornhof (ANC) asked for the Minister’s views on the plans to kick start the Nigerian automotive industry and whether the Department was engaging to ensure that there would be the necessary exemptions on tariffs and duties between the two countries so that the local industry could produce local components. In terms of broadband ability, South Africa was lagging behind comparatively to other countries in Africa and in Europe. He asked how the Department could assist, especially in light of the impact the “explosion of smart phones” were envisioned to have on trade and knowledge in Africa. Broadband was one of the crosscutters and the Department of Telecommunications and Postal Services developed a whole strategy around broadband. It was good to recognise that South Africa was not as advanced as was needed in this area, but South Africa was not hugely worse than other countries. The Minister replied that the Department had been in extensive discussions with Nigeria. South Africa would be assisting with the development of an automotive programme and in return, fully built up models would be produced by South Africa. Mr M Kalako (ANC) said there was some confusion on the ground on the Black Industrialists Programme, especially among small and medium black business owners. At the same time, up and coming graduates, some of whom had produced products and had tried to put products on the market, had approached the Department without any success. He said he had received some emails claiming that the Department did not respond to applicants. There seemed to be a notion that the Black Industrialists Programme would be about giving black people capital to buy existing businesses and he asked for clarification. He also wanted to know when the programme would be rolled out. The Minister had mentioned electrical supply as a challenge and he asked if something was being done by government to address the problem. He asked if there were programmes to assist local government in ensuring that the measures in place were being adhered to and those flouting the rules were being penalised. The Minister replied that some of the new BEE Codes were going to help and there were BEE targets people needed to meet to benefit from DTI incentive programmes. The emphasis was not on shared ownership deals, but rather on skills development and supply chain development. And such tools would help to bring in black manufacturers. There was a need for a focused and dedicated programme to actually encourage black manufacturers. One of the important challenges in the Black Industrialist Programme was to define what an ‘industrialist’ was and basically, industrialists were involved in manufacturing. The funding committed to the programme would be used to support industrialists and to generate a cohort of black industrialists. There were people involved in this space, but they were too few and far between. The document on the Black Industrialist programme had not yet been finalised and it would define eligibility and how the programme could be accessed. The programme was not for every existing intermediary claiming to be industrialists. There was an array of projects lined up to address the energy concerns, but the Department was focused on emphasising the importance of a regular and affordable power supply for industrial customers. There were cases where municipalities have not been receiving their revenue with all kinds of supply issues with premium prices for industrial customers. The Department had been engaging on these issues from the basis of what it would mean for industrial customers. There was a degree of stabilisation, but there will still challenges. The Chairperson said localisation in the automotive sector grew job opportunities and she asked how it was monitored and what the parameters of value addition and beneficiation were. She referred to the R700 million commitment made by general Electric and she asked how the Department was planning to make prospective manufacturers aware of it. In incentivising, some programmes in the past had really worked against the objectives of the programmes and she asked how current incentivised funds in the sixth iteration of IPAP would be monitored. One of the government’s programmes on biofuels had a deadline of 1 October 2015 and she asked how the IPAP programmes related to biofuels. There was a South African company that manufactured trainer airplanes and she asked why it was not looked at more closely for the employment opportunities and it would cost 40% less than importing such trainer aircrafts. The automotive investment scheme had two levels of conditionalities where the lower, the scheme the lower the conditionalities. Conditionalities centred on employment and on localisation. The Automotive Production and Development Programme (APDP) needed to be balanced between what the industry got and the employment and localisation benefits. South Africa’s localisation objectives were pitched realistically and it led to General Electric to start manufacturing here. There were a number of aeronautical companies in the Centurion Aerospace Village and a number of aircraft components were being manufactured. It was an area that had capacity for advanced manufacturing. Mr Garth Strachan, Deputy Director-General: Industrial Development Policy, DTI, said General Electric would roll out its production line with 60% local content around October 2015. It was a critical issue however, that out of 100 companies in South Africa that were potential suppliers to General Electric, a significant number could not supply price competitive components according to the global required standards. Therefore the question became if measures could be implemented to support the component manufacturers to raise their competitiveness. The Department was working with original design manufacturers (ODMs) and suppliers to establish a supplier park where component manufacturers could be supported by the DTI. On biofuels, the massive collapse of the oil price had “put a spanner in the works” and National Treasury was involved in an exercise to understand based on the slow recovery of the global oil price, whether or not a compulsory upliftment for ethanol and biodiesel could be supported at the existing and estimated prices for petrol and diesel. Mr Hill-Lewis said it was surprising that the Minister said that the exports to China dropped, because it must have been in Rand value and not in volume. Today’s commodity prices were still significantly higher than in the early 2 000s and yet companies were in dire straits. This was a reflection of the fact that other costs in the economy have risen exponentially such as electricity and an unstable labour environment. It was very difficult to make a case for cost effectiveness and cost competitiveness. There should be better coordination with other government departments whose decisions impacted costs directly and deliberately. There was a report in a newspaper that stated that all the steel used in the construction of the Medupi and Kusile power station were 100% imported from Pakistan. It was shocking since the Minister just highlighted infrastructure-driven industrialisation as a driver for a higher impact IPAP. He asked how was it possible that the two biggest infrastructure projects in the country at the moment came to be using imported steel. He also noted that there were numerous complaints around the long application process for MCEP. The Minister said it was in Rand value and it was reflected in the fact that the commodity price went down. It was not that China was not consuming a significant quantity of industrial minerals, but South Africa had to move up the value chain. It was part of the nine point plan to promote a less conflicted labour environment. It was a crosscutting issue and the Department was not directly responsible but there was an ongoing process in the National Economic Development and Labour Council (NEDLAC) with the Department of Labour. Mr Strachan said the Department had picked up given weaknesses with respect to capital investment by the key steel producer and therefore a lack of competitiveness. There were not only problems with steel prices and supply, but also on the range of steel products. There had been a discontinuation of the production of certain steel products by the main steel producer which was a cause for considerable concern. In addition, the quality of certain steel products produced in South Africa was below par. In engagements with the main and secondary steel producer, a set of negotiations were taking place and government was trying to secure conditionalities in relation to the range of products produced, the security of supply as well as the quality of steel. Mr Lionel October, Director-General, DTI, said on MCEP, a detailed report had been given a few months back and the Department undertook to expedite the process and to clear the backlog. Substantial progress had been made to clear the backlog. It might be prudent for the Department to provide the Committee with a detailed report. All the Department’s incentive schemes showed that there were more applications than funds for the financial year and certain decisions would have to be made in terms of possibly putting a cap on the amounts that could be paid out or to push for an increase in the amounts available for incentives. The introduction of the requirement that people should be level four In terms of BEE had obviously resulted in a number of companies now being rejected. There was an appeals procedure in place where it would be dealt with and companies would have an opportunity to explain their situations. The Chairperson excused herself from the meeting and Mr Kalako was elected Acting Chairperson. AGOA has helped to transform the trade relationship between South Africa and the United States from one based mainly on exports of commodities to that based on more value-added trade in manufactured products. It was mutually-beneficial for both South Africa and the USA as showed by the growing intra-industry trade in the automotive sector. The Brooking Institute indicated that AGOA has created 100 000 jobs in the United States and another 62 000 jobs in South Africa. Therefore, AGOA was a win-win for both South Africa and the United States. The share of Sub-Saharan Africa (SSA) exports to the USA declined from 1.63% in 2013 to 1% in 2014. South Africa was the only significant exporter of value added manufactured products under AGOA to the USA and AGOA has supported the creation of regional value chains. The South African government and the private sector remained at the centre of regional integration on the Continent. The removal of South Africa would further reduce the benefits of AGOA to the SSA region. South Africa disagreed with the view that it was a more developed country and should possibly be removed from AGOA. The reality was that South Africa was currently facing the triple challenges of poverty, unemployment and inequality. AGOA has helped in the critical area of job creation and AGOA preferences in the citrus industry provided thousands of rural jobs to mostly women workers, thus alleviating poverty of rural households. In the auto sector AGOA created high value, high skill jobs that helped to stabilise South Africa’s nascent democracy. Intense discussions on some trade concerns (poultry) resulted in a significant breakthrough at the Paris Meeting held on the 4th and 5th of June 2015. Agreement was reached on a quota of 65 000 tons per annum and this quota only remained in place for as long as South Africa was part of AGOA. There will be a growth factor and a large a percentage as possible of the quota will go to historically disadvantaged individuals. Since the Paris meetings, understandings had been reached between the South African Poultry Association (SAPA), the USA Poultry and Egg Export Council (USAPEEC) and the USA National Chicken Council and the South African government was currently finalising guidelines for the allocation and administration of the agreed quota. The Sanitary and Phytosanitary Measures (SPS) issues were complex, but significant progress had been made. There had been outbreaks of Avian Flu in 20 US states, but no outbreaks had been reported in the past six weeks. If there were no further outbreaks in the next six weeks, the USA could declare itself free of Avian Flu. The South African government was pleased to announce that Cabinet has approved the lifting of a ban on boned beef from several countries which had Bovine Spongiform Encephalopathy (BSE), including the United States. The animal health authorities of both governments have been undertaking the necessary technical work to ensure safe trade from at least three diseases, namely, Trichinella, Porcine Reproductive and Respiratory Syndrome (PRRS) and Aujeszky’s disease. South African veterinarians have made significant progress and have been able to approve a list of pork cuts. South Africa also raised its concerns regarding SPS on its exports of apples, pears, stone fruits, litchis, citrus, avocados, beef, chicken breast, mutton/lamb meat, sheep and goat embryos, horses, poultry and ostrich. South Africa was a relatively open economy with the average tariff at 8.3% in 2014 and 56% of tariffs at zero. The Annual Trade and Investment Forum (TIFA) continued to provide an invaluable platform to address and exchange views on policy issues. The US Government and interested US parties could participate fully in the ongoing policy debates in South Africa through the transparent public consultation processes provided for in South Africa’s institutional and legislative mechanisms. South Africa had an outstanding judicial process and Constitution that protected the democratic rights of its citizens, and safeguarded the property and investments of foreigners. The Minister said AGOA has contributed significantly towards building a mutually beneficial partnership between the USA and South Africa. South Africa was a vital part of the regional integration and development process underway in Africa and removing South Africa from AGOA would substantially diminish the significance of AGOA for SSA and the USA. Bilateral mechanisms, such as TIFA, have provided an excellent forum for the resolution of trade and investment concerns and South Africa met all the eligibility criteria to remain a beneficiary of AGOA for the next 10 years. There was national consensus on this matter and he said he hoped that it was carried through in Parliament. South Africa had a bipartisan approach to attaining its position in this important trade regime. There was an AGOA Forum that would take place in three weeks time in Gabon where the Department would take part in the debate on the future of AGOA and South Africa would be going into the review on Friday with a confident message. Mr Hill-Lewis said that there had been a suggestion in both the local and the United States media that insufficient or inadequate progress had been made on the agreed upon 65 000 tons per annum quota. He asked for comment on the persistent concern that South Africa was employing delay tactics and he also wanted to know who would be making presentation in Washington. The Private Security Industry Regulation Amendment Bill has been with the President now for a very long time and has not yet been signed. It was not a Bill that fell under the Department’s purview, but it now affected AGOA. He asked what the Progress was on the Bill, what Cabinet’s decision was, what was going to happen to it in relation to the AGOA review and why had it been ‘languishing’ with the President for so long. He wanted the process of the review outlined in a little more detail and he asked if the decision made by the USTR would be the final decision, if the decision would needed to be ratified by Congress and if there were further opportunities for intervention later. The Minister replied that there had been significant progress made and South Africa was on an irreversible course to implement the quota. It was South Africa’s position that it was linked to the country’s continued participation in AGOA. SPS matters were not small matters and South Africa did not want Avian Flu in the country and an arrangement needed to be in place to ensure that Avian Flu did not come into the country. The presentation would be given by South Africa’s Special Envoy on AGOA, Ambassador Faizel Ismail and the Foreign Economic Representative of the Department. 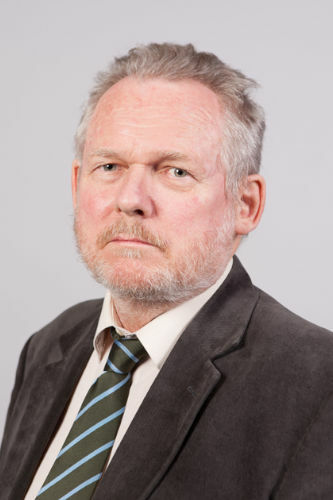 DTI had been engaging with the Department of Police on the Private Security Industry Regulation Amendment Bill, but the Minister said he was unable to provide any more information at this point. Post the review, South Africa would receive a letter from President Obama on whether the country was eligible, partly eligible or not eligible. Ambassador Ismail said not a lot of attention should be given to media speculation, because the fact was that the USA and South Africa enjoyed excellent trade and investment relationships. There were over 600 US companies in South Africa and the US relationship with South Africa had begun to deepen and expand with the aim to use South Africa as a regional base to expand further into the Continent. There were excellent communication channels and trade concerns between countries were normal. As long as there were channels of communication that allowed for matters to be addressed on both sides, the relationship would progress. The decisions and agreements reached in Paris were being implemented and the Department had been working with the Department of Agriculture, Forestry and Fisheries (DAFF) and the South African Revenue Services (SARS) and guidelines for public comments would be published soon. In terms of the SPS issues, a great deal of work had been done by both South African and American veterinarians in the interest of the human and animal health. In the last few years about 38 animal and plant health certificates had been issued to the USA and the US had issued South Africa with four certificates. There was also a long list of plant and animal products South Africa had queried with the USA, which through long technical processes had taken years to clear in some cases. Given the AGOA relationship, much more focused work had been done in addressing the poultry, pork and beef issues. In terms of poultry, issues in the USA were very complex and hopefully, there would not be anymore outbreaks of Avian Flu and the health certificate process was well under way. The Minister of Agriculture, Forestry and Fisheries had written to his counterpart in the States announcing the unbanning of beef imports. A huge amount of progress had been made on pork cuts and some processes were still underway. Mr Williams welcomed the report and said it was important for Parliament to voice its support for this process, because South Africa needed to be part of this strategic partnership for the next 10 years. The Minister said he hoped that he could take from this particular hearing the support of Parliament, because it served national interest. Adv A Alberts (FF+) asked whether the poultry issue was the only issue holding back finalisation of the agreement with South Africa. There were rumours that other factors such as the policy uncertainty regarding international investment and the new Black Economic Empowerment (BEE) Codes played a role. He asked why more jobs were being created in the USA than in South Africa and if there was any way to create more jobs locally via AGOA. He also wanted to know if there was any way to get more value out of AGOA. The Minister replied that any issue could be raised during this process and the matter of intellectual property could also be added. All these matters were discussed during the TIFA and it led to a better understanding, especially of the new BEE Codes. There had been continuous engagement, not just with the US Administration, but also with the US Chamber and the Corporate Council on Africa on all these matters. Some of the challenges had actually been to get accurate communication across. Getting more value out of AGOA was one of the issues, because the USTR did mention that they would look at improving the level of access. There were certain areas South Africa could identify to benefit more and to improve AGOA, e.g. South Africa had AGOA access for canned pears, but the country was actually a more competitive producer of canned peaches. This had been raised before, but the USA State of Georgia already produced peaches. AGOA did have value as it stood and the objective was to secure South Africa’s continued participation. Ambassador Ismail replied that in terms of policy matters, US companies had concerns as did South African companies on some of the policy processes that have not yet concluded. The main issue was whether there were good communication channels so that these concerns could be discussed. He confirmed that such mechanisms were in place and he stated that he had been in touch with US Embassy senior officials every week on all issues, including the Private Security Industry Regulation Amendment Bill. There was no major issue of concern that could be a major impediment to the outcome of the review. An engagement last Friday with industries and stakeholders confirmed a cohesive approach on AGOA and some of these industries would be making representations in Washington on their own behalf. Ms Elaine Alexander, Deputy Director-General: Economic and Trade Development, DAFF, said DAFF worked closely with DTI and SPS issues specifically, were scientifically approached. South Africa had followed the guidelines on poultry laid down by the World Organisation for Animal Health. Mr Hill-Lewis said the concern on the Private Security Industry Regulation Amendment Bill was not an invention by the media. There was a letter written in the Sunday Times by a US Ambassador that stated that this Bill was a serious concern for the US government. He asked what was going to happen with the Bill, because it had been with the President for more than 18 months. It was not an unreasonable question and if the Minister was not prepared to answer in this Committee, the South African government would have to answer this question on Friday. The DA supported AGOA because it was in South Africa’s national interest even though the party had some specific criticism on how the negotiations around the poultry issues had been handled. The Minister replied that Mr Hill-Lewis wanted to “raise the temperature of the meeting” and that he took his ‘protestations that the DA was part of the consensus with a pinch of salt’. He said he was not in a position to say what was happening with the Private Security Industry Regulation Amendment Bill, because it was the call of the Minister of Police. As stated before, the relevant departments were in discussions on the implications of the Bill and on the way forward. The USA had its own security-based reviews on foreign ownership and foreign security companies in the US. It might not be written the same way as by South Africa, but they had their own security-based controls about who could enter their security industry. Mr Hill-Lewis said it was a valid question, but it would not be an acceptable answer in Washington. It has been 18 months since this Bill had been with the President and there had been no feedback except vague references to ongoing negotiations. Just because the DA raised concerns, did not mean the party did not support the package as a whole. The Minister again said the Minister of Police would answer on the Private Security Industry Regulation Amendment Bill and said it was the manner in which Mr Hill-Lewis raised this issue. The Chairperson confirmed Parliament’s support for the process and agreed that the Private Security Industry Regulation Amendment Bill did not belong in this Committee. The Police Portfolio Committee was dealing with the matter and the Department would deal with any part of the Bill raised in relation to AGOA if it was needed. He thanked everyone for their input and the meeting was adjourned.